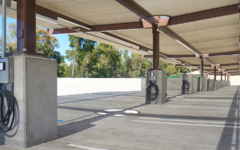 The employee parking garage at the San Diego Zoo provides 650 parking stalls within the 200,000 SF structure. 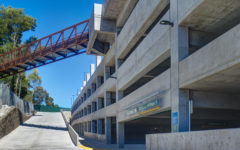 The garage is designed to relieve parking congestion and free up valuable surface parking for visitors to the San Diego Zoo. The challenging site was a previously unutilized canyon, steeply sloped with dense vegetation and trees. 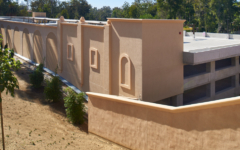 The unique design of the garage effectively filled-in the canyon, allowing the roof level to provide direct employee access to the zoo via two pedestrian bridges as well as at-grade access to the lower portion of the zoo site. The project also has the potential to provide after-hours special event parking for the adjacent outdoor theater in Balboa Park. The façade of the garage features arches, pilasters and decorative elements which match the park’s existing historical architecture. Care was taken in the design to minimize noise or visual impacts of garage operations on the surrounding venues, including the theater and zoo.